Shoot-em-up games, or “shumps” as I’ll be referring them to from here on out, are a masochistic curiosity for me — the type of game that I come back to every once in a while even though I’m not particularly good at it. 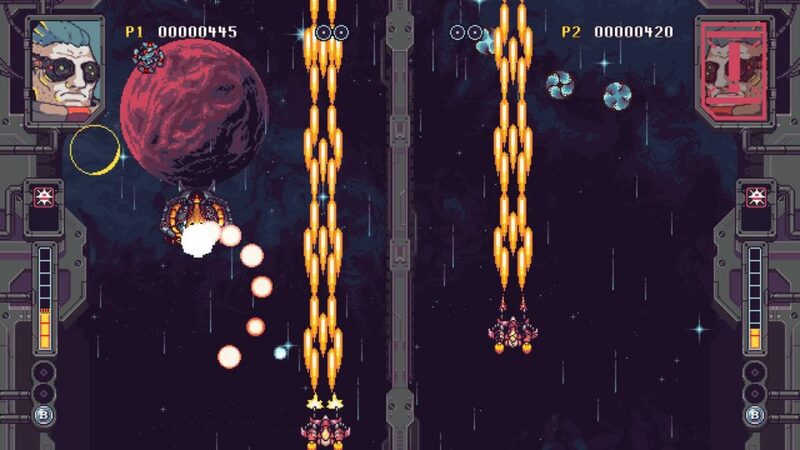 So what happens when you combine the classic overhead shmup game with a bit of two-player PvP? You get a little something different and a fair bit of fun. 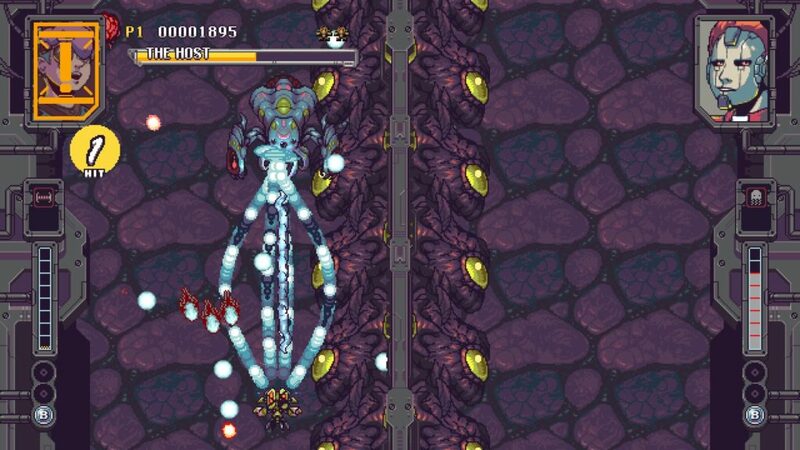 This is our Rival Megagun review. Rival Megagun is out now on PC, Xbox One and soon to come to the Nintendo Switch on December 6th, while the copy I reviewed was for the PS4. It’s pretty much what it looks like on the outside: a frenzied overhead shmup with a bit more of a competitive slant to it. 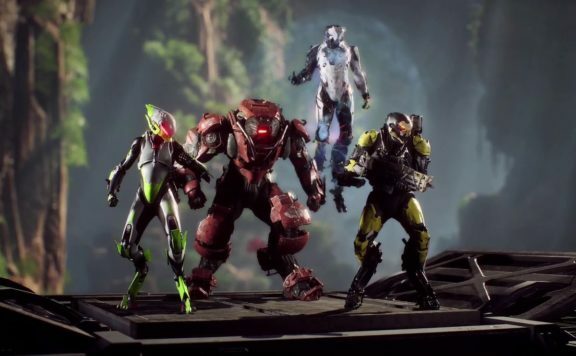 The game’s title refers to an interstellar battle royale that looks to find Earth’s best pilot to take down the Harvesters, an alien force that takes the junk and scrap from the planet to create deadly space robots. It’s a loose narrative, but one that doesn’t pretend to be deeper or more important than it needs to be. As Rival Megagun is a competitive game show, gameplay is a combination of taking on bunches of enemies as well as the opponent next to you. Chains of enemy kills fill up a meter on the side of the screen which can either be spent to send distracting attacks to your opponent’s side, or saved to turn your ship into a boss enemy that you control in order to attack your foe directly. The shmup gaming of Rival Megagun is as tight as one would want, with steering that feels precise and controls that are easy to pick up and play. 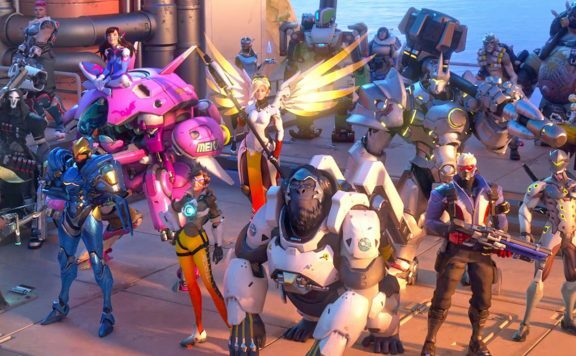 There’s a pretty broad selection of characters to choose from, each with a variety of shot types that lend themselves to a number of playstyles, whether you like attacks that spread out or shots that group together in a tighter column. In the best tradition of fine shmups, Rival Megagun is tough as nails but fair, excellently toeing the line between classic shooters like 1942 and bullet hell shooters. 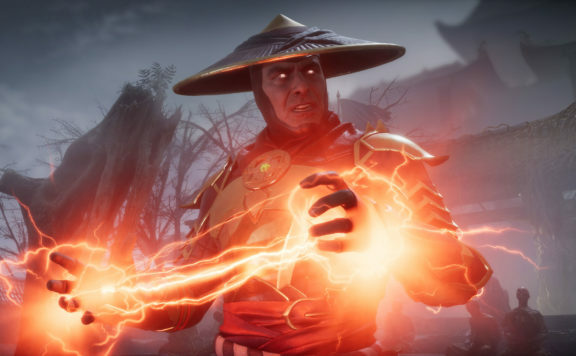 Gameplay modes are just as simple as everything else: you’ve got a single-player arcade mode, a player vs. player mode where two people can face off, and an online battle mode that lets you match up with friends over distance or via matchmaking. During my review time, I wasn’t able to get into any online matches, which might be owing to the fact that Rival Megagun has only just recently come out. PvP is absolutely where Rival Megagun shines. As competent and challenging as the AI gets in single-player mode, the added wrinkle of a live human player cannot be beaten. I took on my husband in several rounds and we found ourselves wanting to play one more time, making this title one of the better couch games out there. With all that being said, Rival Megagun is perhaps a bit too simple. Three gameplay modes don’t add up to a lot of video game for about $15, and this game really does feel like it’s best played in short, occasional bursts. 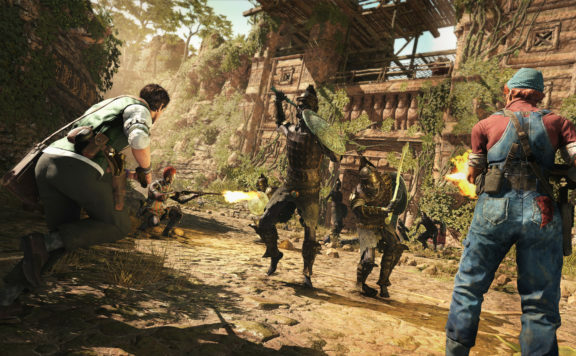 The arcade mode has a few difficulty levels and I suspect the ending is best when you go for the hardest difficulty mode, but that doesn’t add up to much replay value for me. Another minor complaint I have with Rival Megagun is the backgrounds can get a bit too busy. They don’t blend in to the backdrop well, which can sometimes obscure some of the enemy bullets that are coming your way. I emphasize “minor” complaint, though; like most shmups, you sort of get into a visual zone where your peripheral vision and inherent senses kind of take over. Those are about the only issues I can raise against Rival Megagun. There’s not much to this particular game that can be explored, but then it also doesn’t try to overextend itself and do too much. It’s pure, basic arcade fun and a worthy addition to any shmup lover’s library. 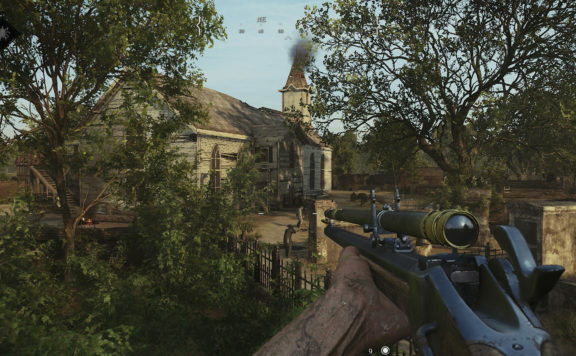 Note: a copy of this game was provided by the publisher for review. Rival Megagun's added wrinkle of competitive gameplay to frantic, well-designed overhead shmup action is an interesting twist, but the limited game modes might not be enough for the amount of money being asked for. Wolfy fancies himself a pink wolf and a reasonable gamer. He's been entrenched in PC and console gaming since the Atari 2600 days and currently loves MMOs, most multiplayer titles, RPGs and racing games. He also makes a really good chicken curry. 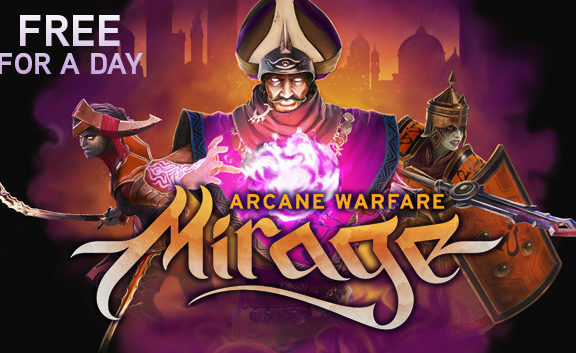 Mirage Arcane Warfare Free Today Only, Don’t Hesitate!